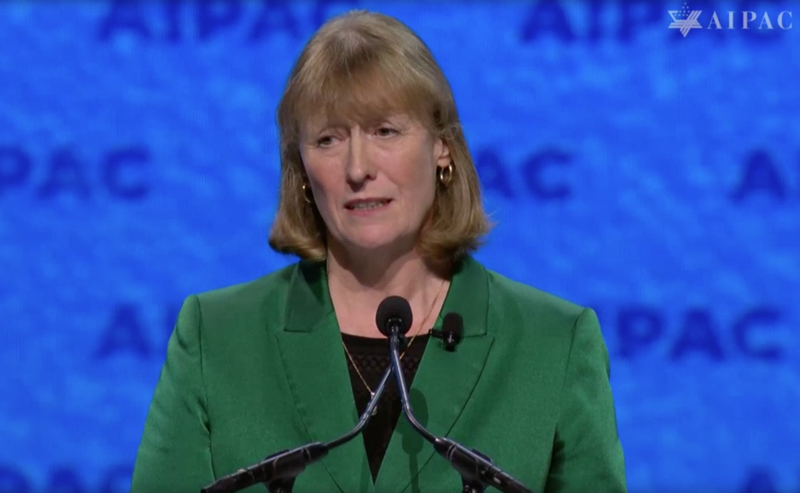 WASHINGTON– A British MP who recently quit the Labour Party over anti-Semitism warned participants at the annual AIPAC pro-Israel lobby’s policy conference here on Sunday night that her former party had changed beyond recognition in just three years, and that “things can change quickly” for the worse elsewhere too. “I never forget that Israel is not just a Jewish state but a democratic state in a neighborhood where democracies are few and far between” and “a country where Christians, Muslims and Jews are free to practice their faiths,” she said. Ryan quit Labour last month to join The Independent Group (TIG) saying anti-Semitism was not a problem in the party until Corbyn became leader. Nine Labour MPs have quit the party in recent weeks, many of them citing anti-Semitism. Labour has been rocked by charges of anti-Semitism in its ranks since the hard-left Corbyn became its leader in 2015, with Corbyn himself also facing such accusations — which he has denied. This entry was posted on March 25, 2019 at 1:52 PM and is filed under Uncategorized. You can subscribe via RSS 2.0 feed to this post's comments. You can skip to the end and leave a response. Pinging is currently not allowed.